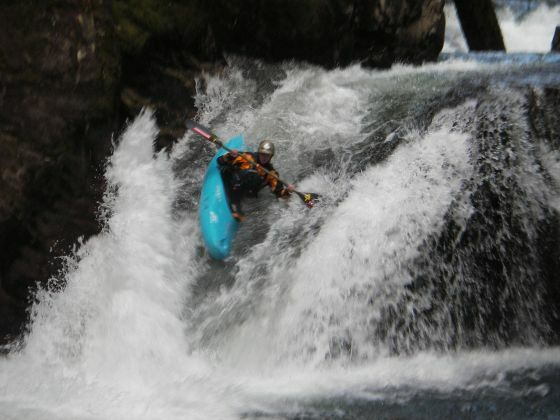 The Ri­o Panqui is another Pucon springtime waterfall run. 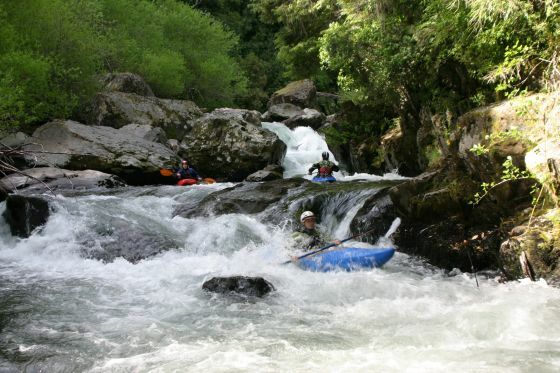 Although the river is referred to by local gringo boaters as the “Spank-me”, the orgin of the name is derived from the local Mapuche language and means Puma. The river comes froma relatively low drainage so only runs in winter and spring or during the summer after severald days of rain. the runnable level is estiamted to be 200 to 400 CFS. This class5 run can pack a punch so bring your A game and some elbow pads. To reach the river drive 34 KM east on paved road to Curarrehue. I KM before reaching town turn left and cross over the Trancura river on a bridge. To reach the normal takeout turn left and follow the road downstream along the Trancura for approximately 3 KM until you come to a bridge over the Panqui. Usually this is the end of the road as the gate is locked on other side of bridge. This is the takeout point. To reach the put in return the 3 KM on same road you just followed and then turn left and follow signs towards Termas de Panqui. It is 15 KM on a gravel road to the Termas which are a highly reccomended addition to the river trip. there is an upper streatch of river that starts just below the Termas which I have not done. If this top section is running the bottoms ection will likely be too high. All I know of this approx 8 KM upper stretch is that Josh Lowry lost a kayak on their first descent. The lower stretch can be reach from two access points both of which are 2 KM apart. I would suggest the lower access which avoids almost 2 KM of flatwater. To reach this point you make a turn to the left after climbing for about 6 KM. I recall the road immediately drops down hill and winds its way to the river. There is a bridge at the river which collapsed in 2005 and last time I was there a truck which had falled from the bridge was still in the river. From this point the river immediately enters a mini canyon. Laying not too far ahead is a 25-30 meter falls. To the best of knowledge this has not yet been run but it is only a matter of time so take note all waterfall junkies. the falls can be portaged on the left on an excelent trail that wraps around and back down to the river to the base of a second 15 plus meter cascade that follows the big falls. A few class five falls/drops can be run that bring you to a runnable 10 meter falls that can be scouted on the right. 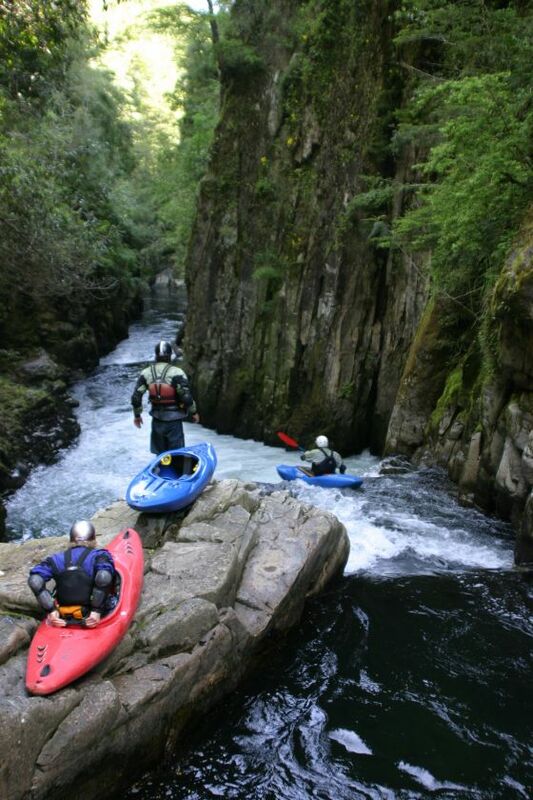 Be careful with this falls as the current at the base pushes boats into an undercut wall. After the falls the river is in a box canyon but with no significant drops. The river mellows as it passes some homes in Reliacura Bajo and it feels like the action is done. This is not the case. 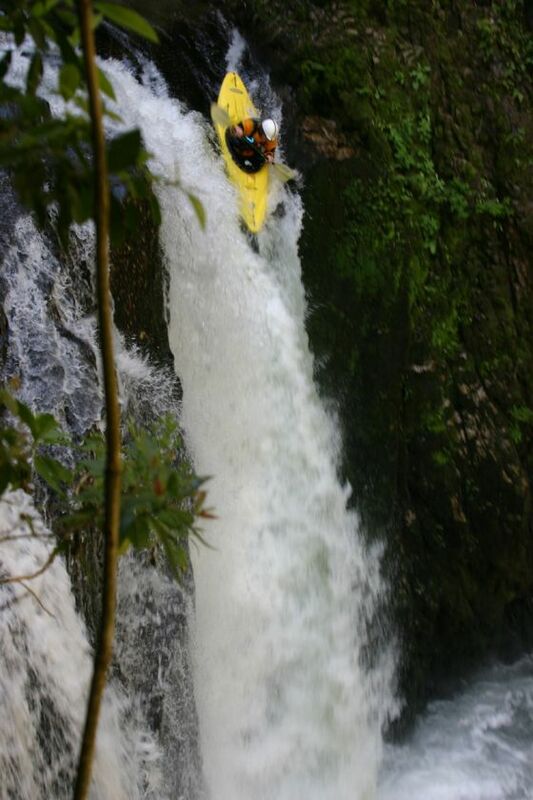 The river changes character and enters boulder garden rapids including an easy class five called AraÃ±a.